Dean Baker Featured on NPR's "Only a Game"
National Public Radio's sports show "Only a Game" has profiled Stephen Baker, head of the athletics department, and his successful basketball teams. The segment can be heard here and the show can be downloaded as a free podcast from iTunes. "Only a Game" often features suprising "out of left field" sports stories. 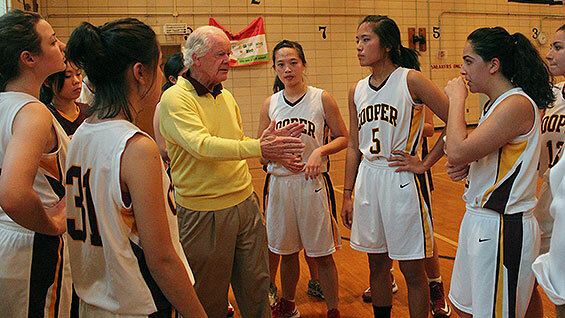 Dean Baker came to their attention because of Cooper Union's successful basketball program that wins championships despite the absense of a home court. Focusing on how Dean Baker acts as a mentor and a life coach to his scholar athletes, the show features interviews with President Bharucha, students and Dean Baker.